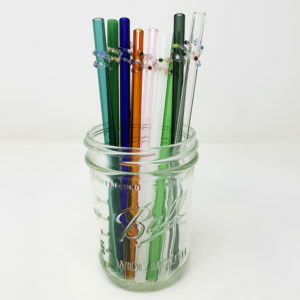 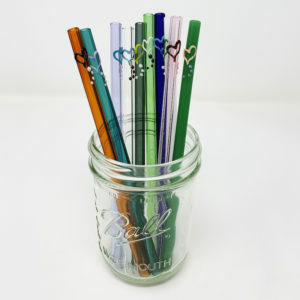 This is the decorative reusable glass straw alternative to the Starbucks® Venti to-go cup plastic and stainless steel straws! 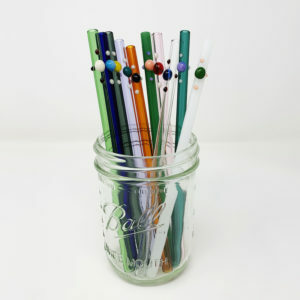 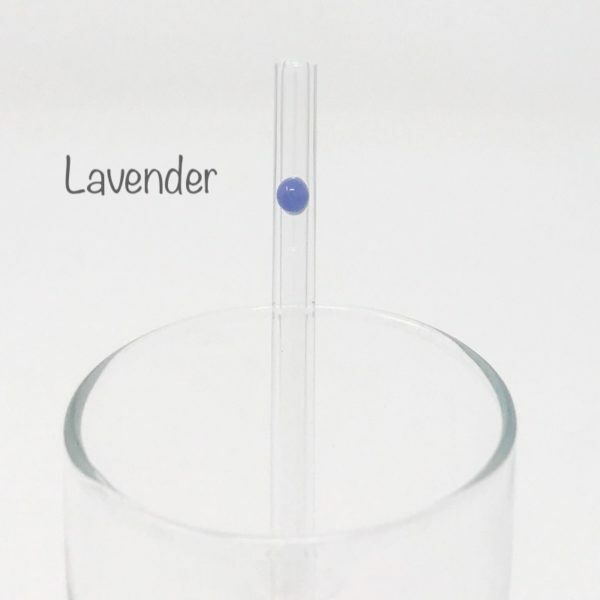 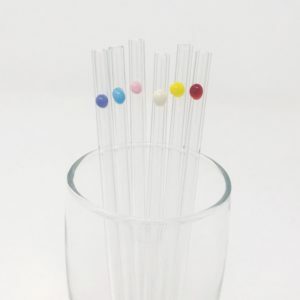 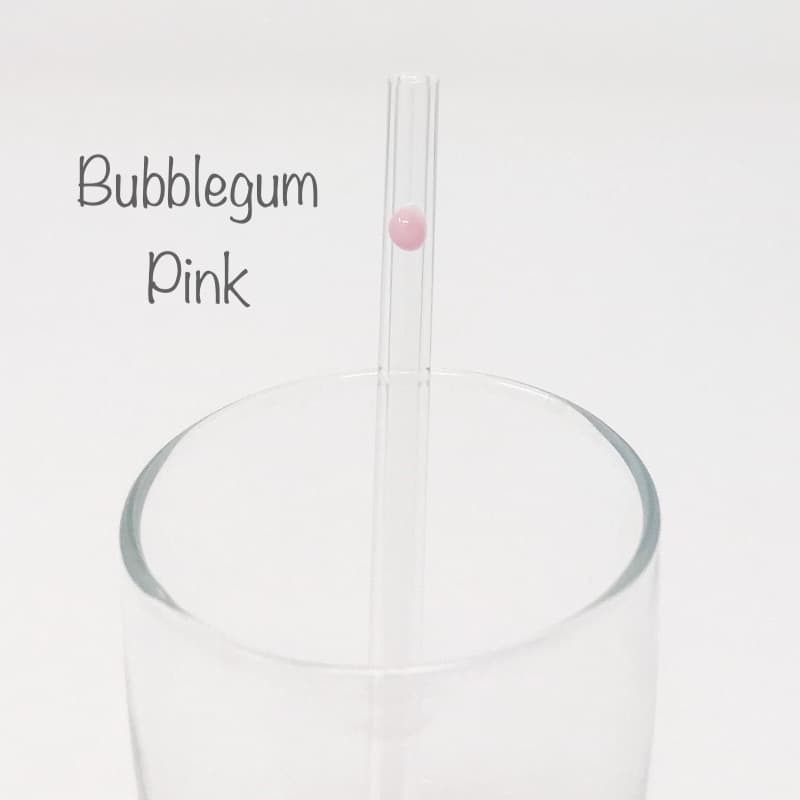 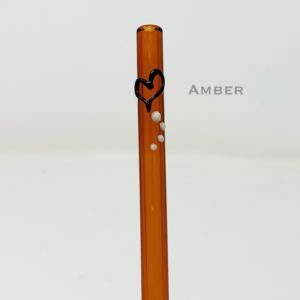 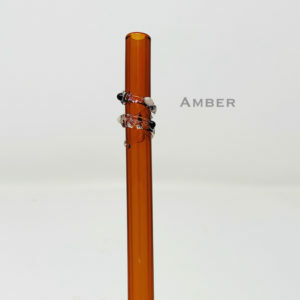 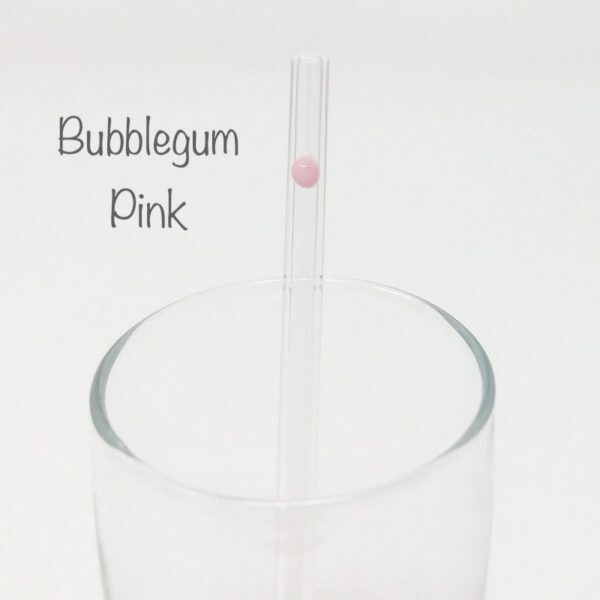 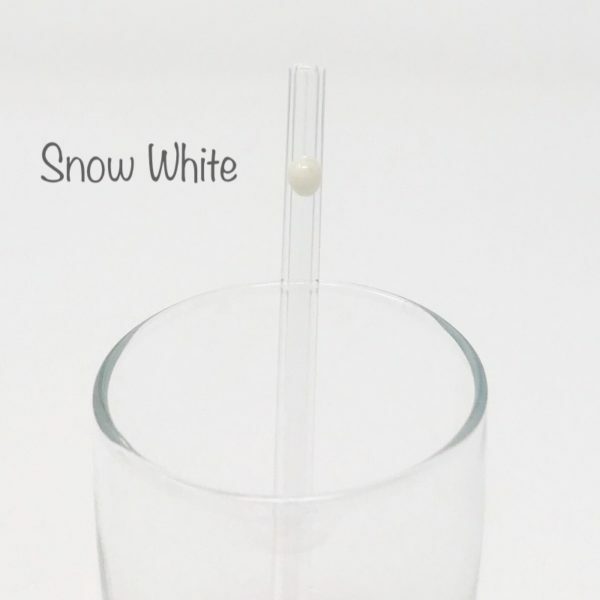 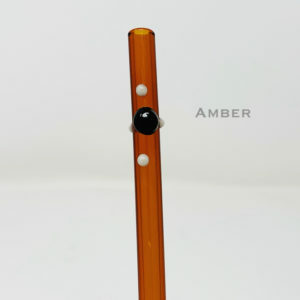 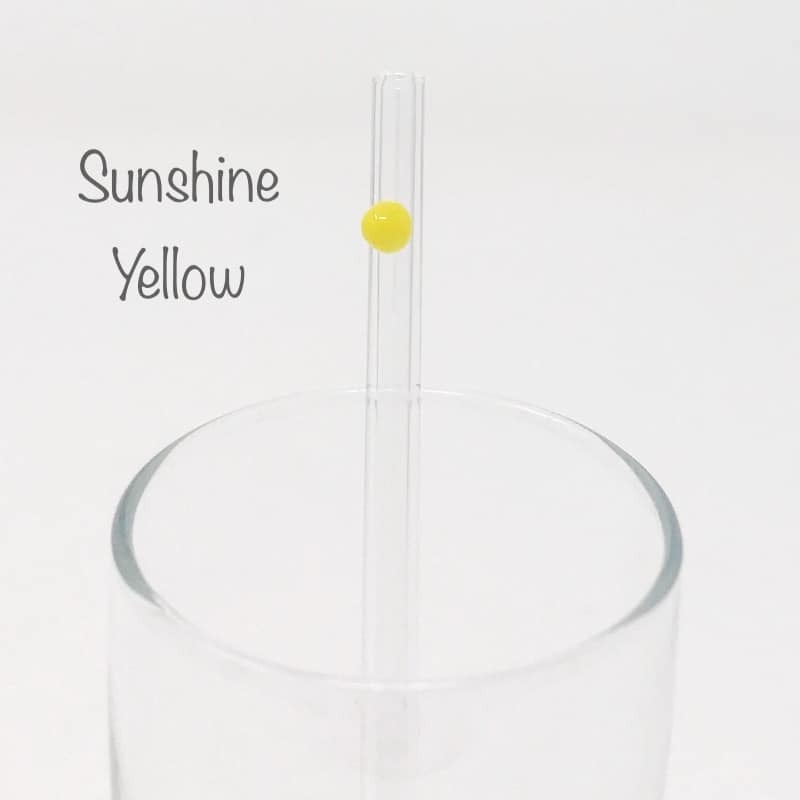 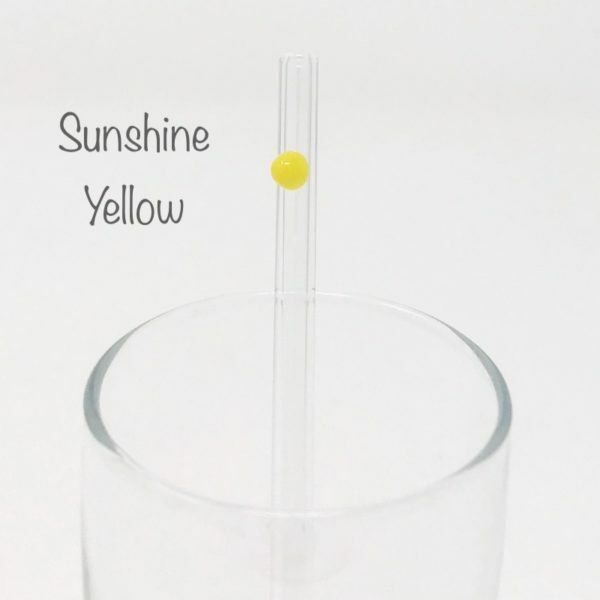 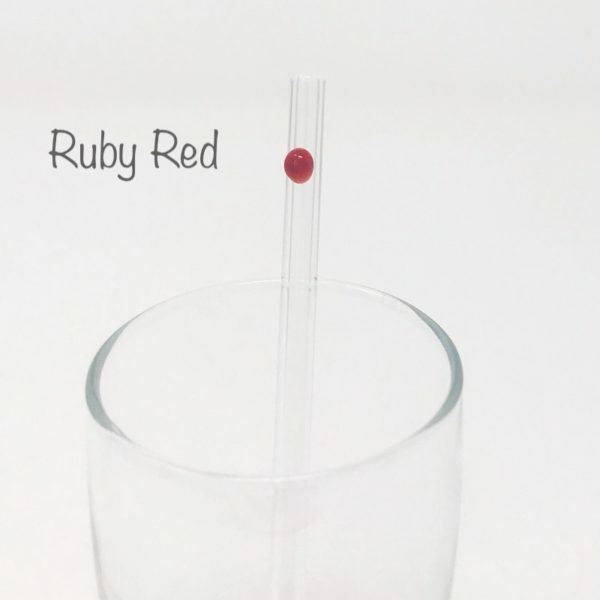 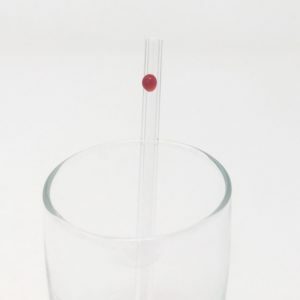 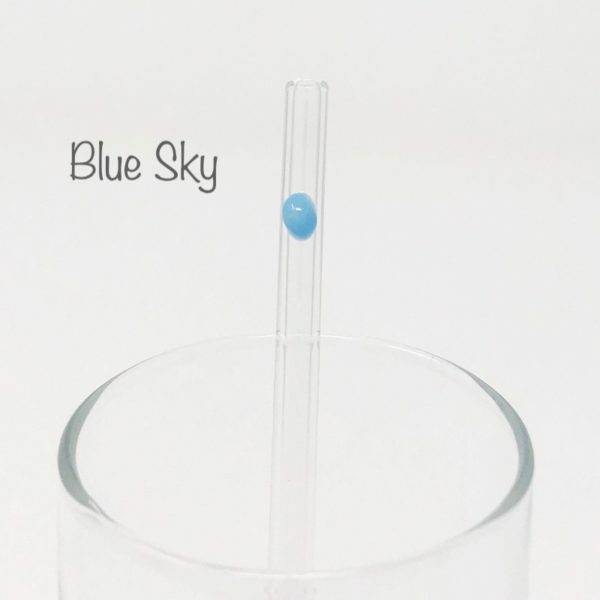 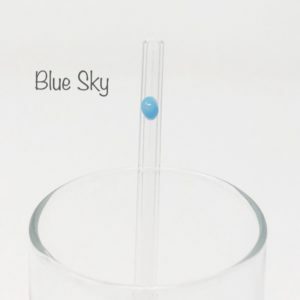 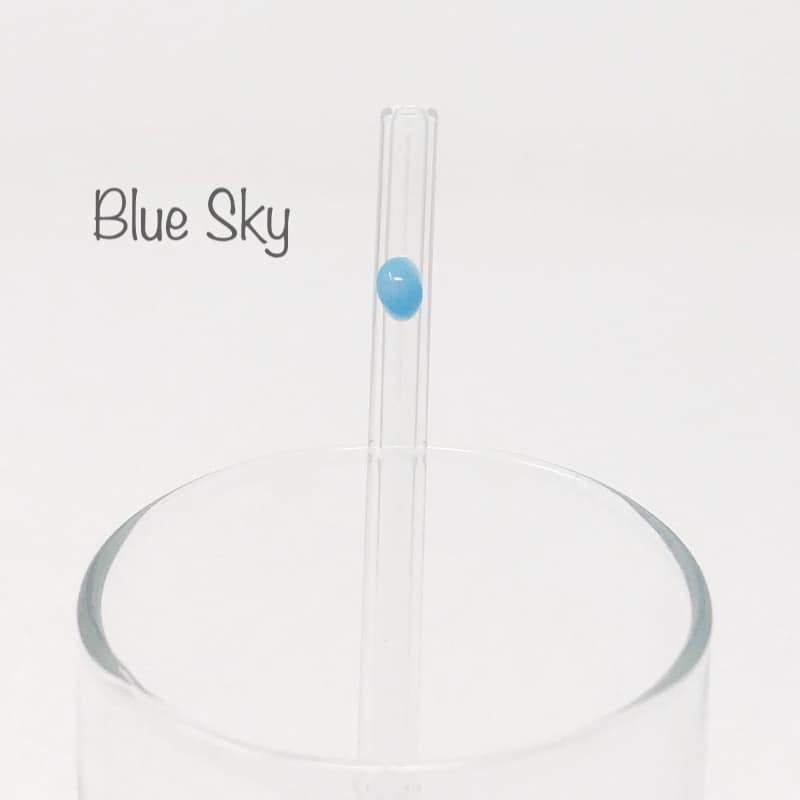 This 11.5″ straight skinny glass straw comes with a decorative stopper dot of your choice (choose from 6 different colors). If you use the dot at the top you get to see the pretty color every time you sip. 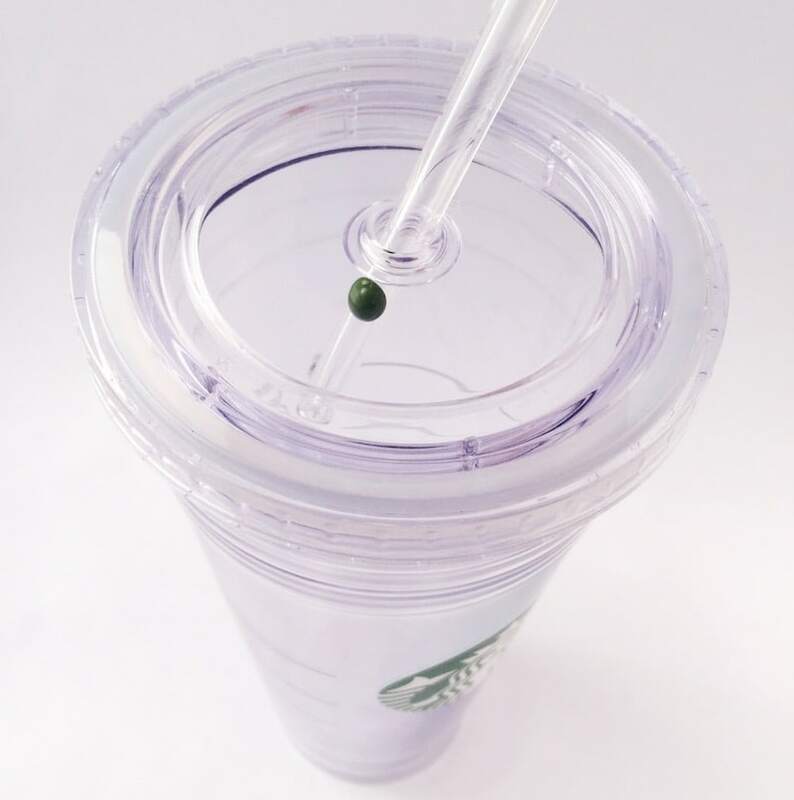 But, if you use the dot at the bottom it becomes a super-hero stopper so that if your cup tips over your straw won’t fall out (just like the bumped out ring on the plastic straw that came with your cup). 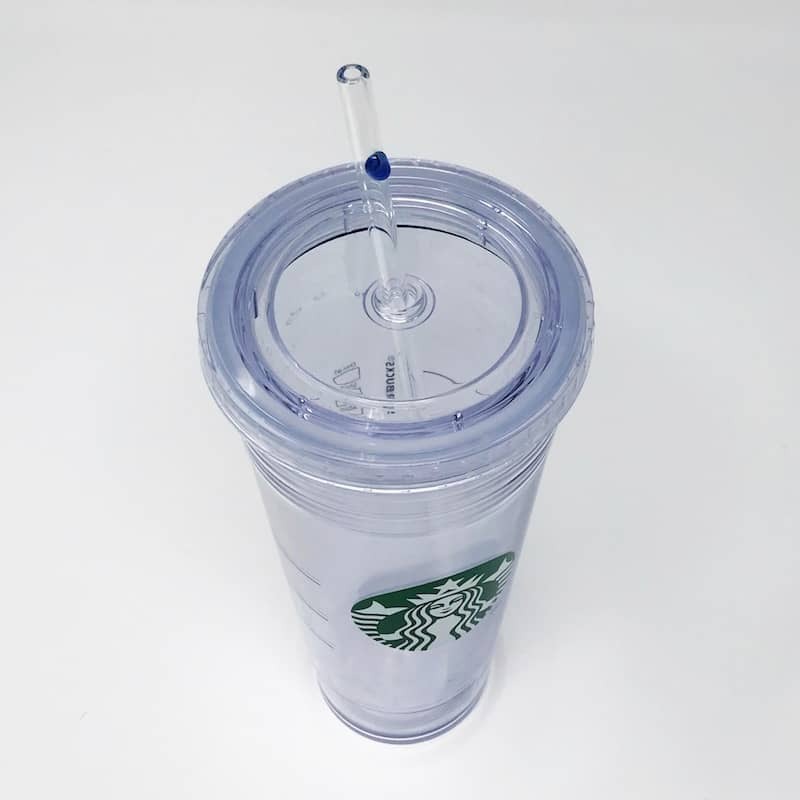 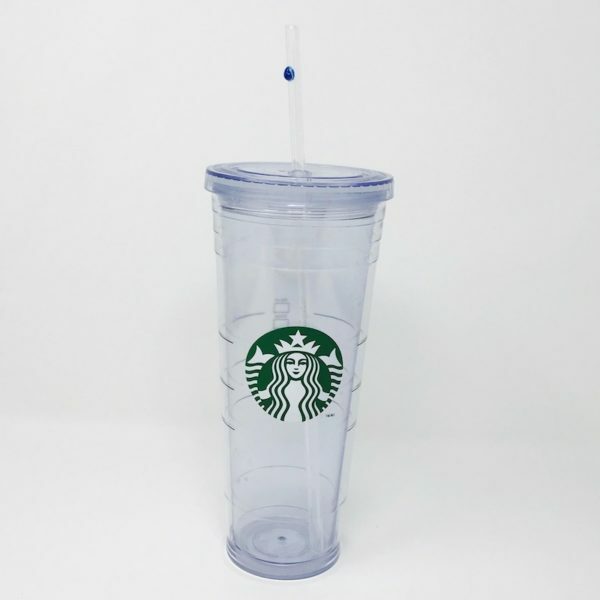 Alternatively, you can also get the Clear Starbucks® Venti Replacement Straw plain in either straight or barely bent (bent at approximately 9.25″ mark).